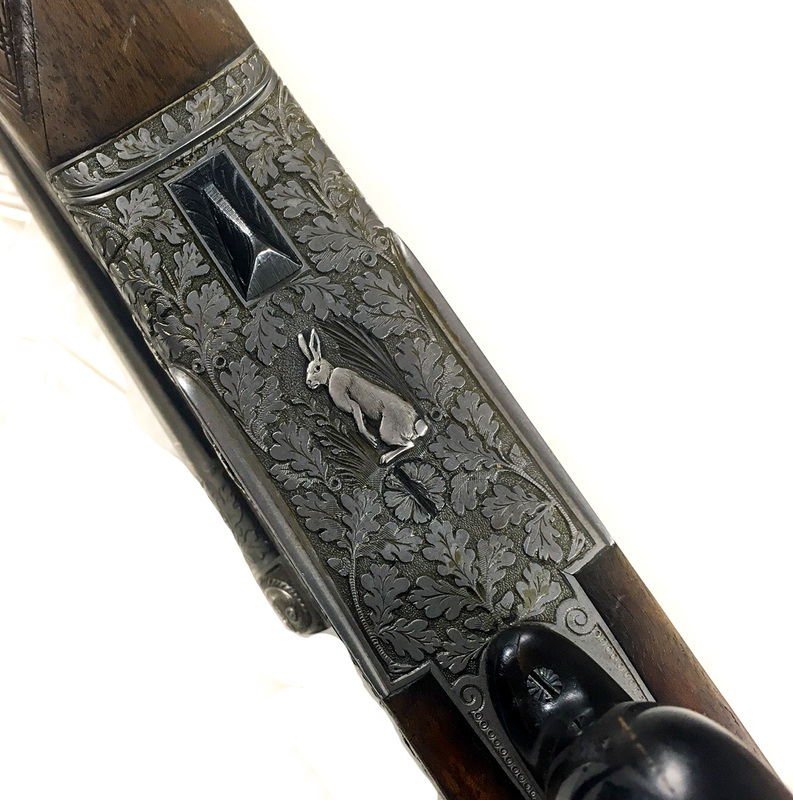 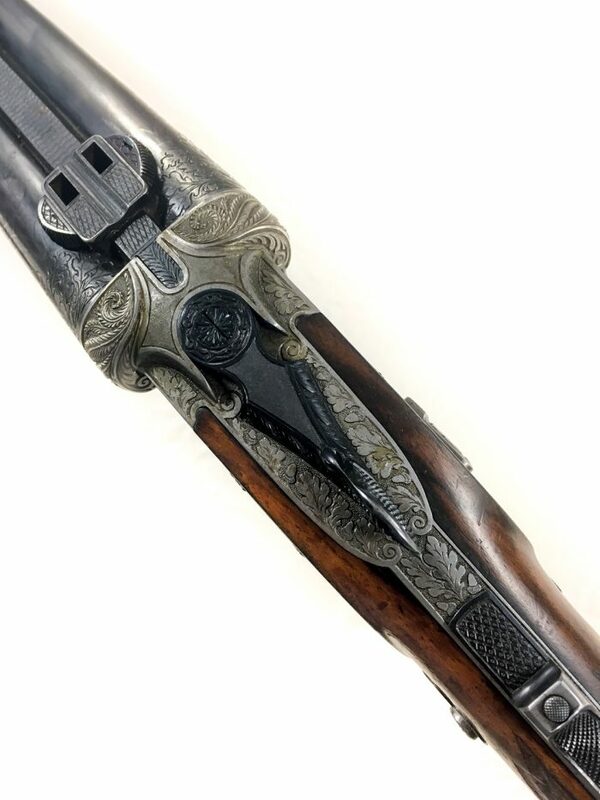 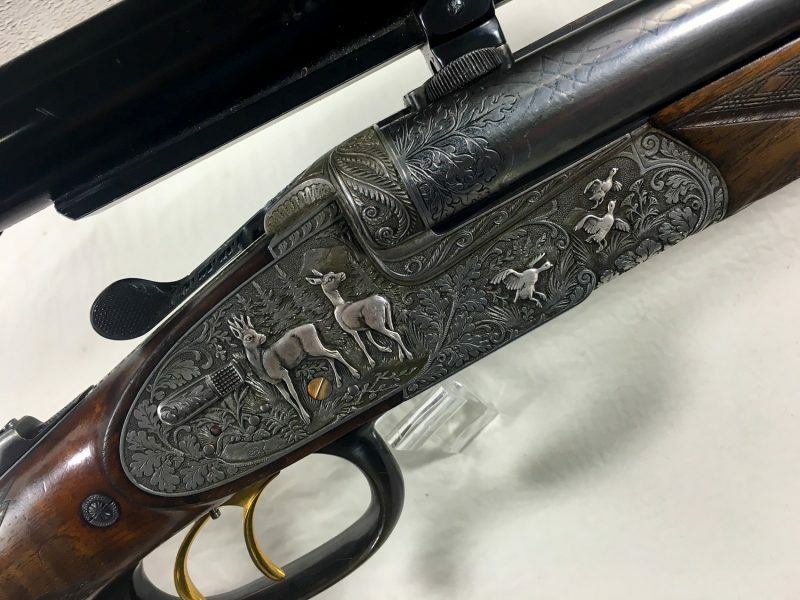 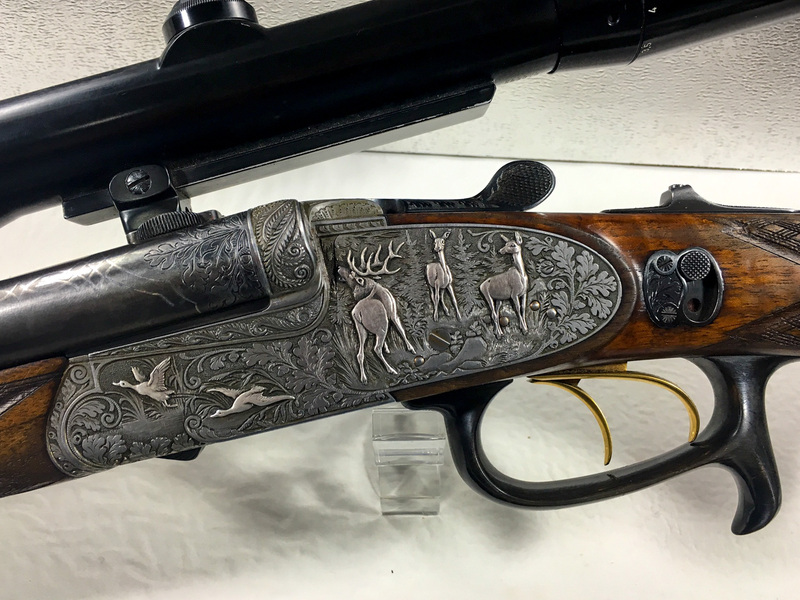 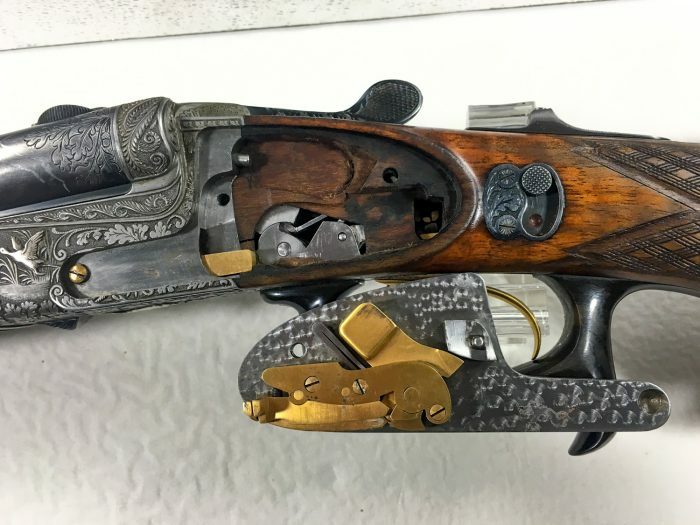 This nice Drilling comes with fine sidelocks and rich relief engraving. Barrels of Boehler Antinit in Cal. 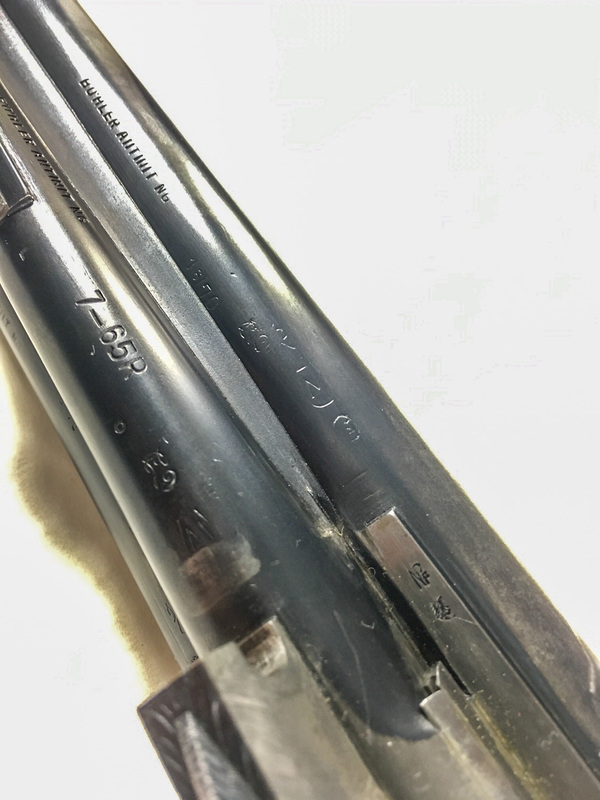 2x 16-70, 7x65R. Written on the rib is Hannes Feldbusch – Lollar (small german town near Gießen) . 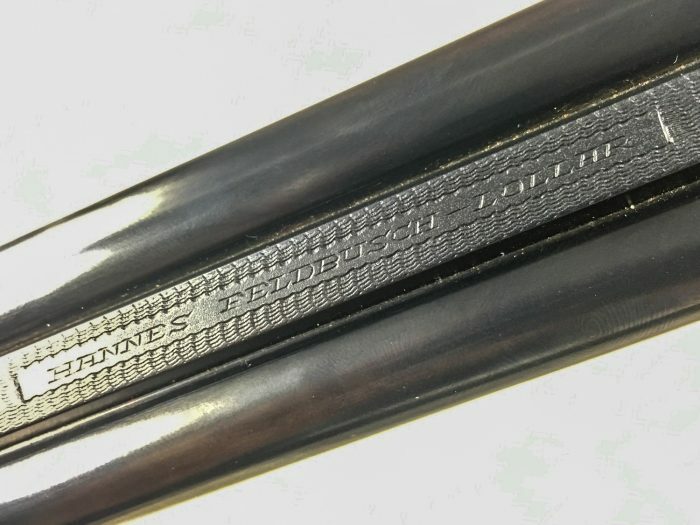 The Drilling looks like made in Ferlach , so probably Feldbusch was not the maker, but the seller. 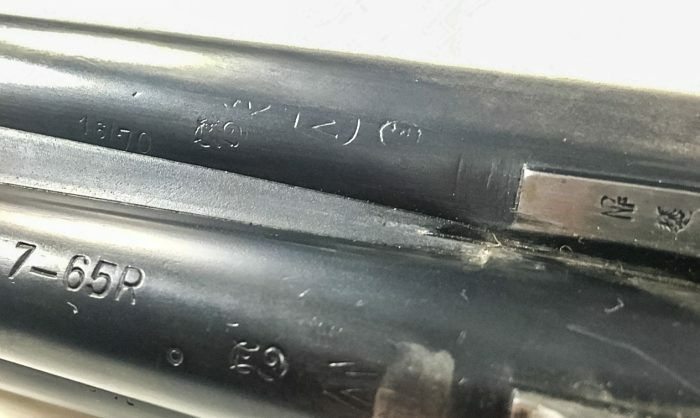 From the visible marks, it would appear that the manufacturing date would fall between 1945 & 1951, but it is possible for a little later date.